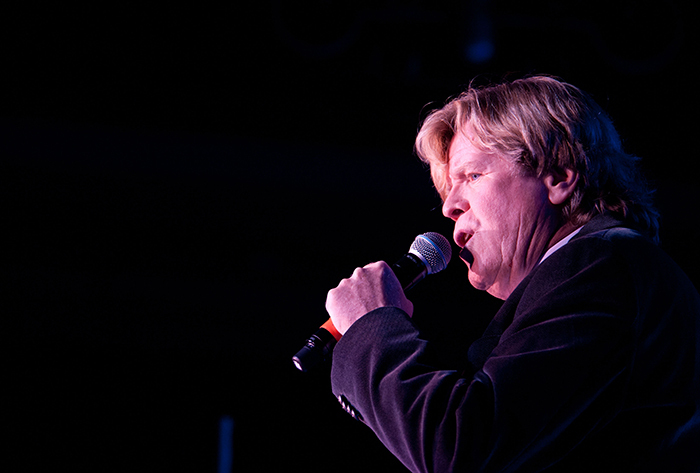 Maricopans are “Into Something Good” Friday when Herman’s Hermits starring Peter Noone perform a free concert in the Lounge inside Harrah’s Ak-Chin Casino. The group, famous for hits like No Milk Today and Mrs. Brown, You’ve Got a Lovely Daughter will take the stage two times on Friday with shows at 8 and 10 p.m.
Noone and his Hermits will perform the band’s hits, as well as a variety of classics ranging from The Rolling Stones to Perry Como. This will be the group’s third time playing in Maricopa. Noone said he and a bandmate remember the venue for its lively wildlife. “I remember me and the drummer being fascinated by all these little animals that live there right next to the casino,” he recalled. Maricopa is one stop among many for the group as their tour hits locations around the United States for the majority of the year. Noone said it won’t stop any time soon. “I think we’ve got 10 good years (left),” he said. However, Noone said he often jokes about when that retirement timeline actually begins. “It’s a 10- year plan from today,” he added, laughing. The group experienced most of its commercial success in the mid-1960s at the height of the British Invasion music movement in America. Footage of screaming, crying teens often accompany concert film of the era’s bands like The Beatles and The Animals. And although Noone said the same hysteria once showed by his then-teenaged fans has calmed through the years, enthusiasm is still always present at shows. “There is nothing better for an enthusiastic band than to have a load of enthusiastic people all around,” he said. Doors for the show open at 7 and 9 p.m.